In the pursuit of unrivaled quality and flavor, Schnucks is proud to introduce Culinaria ice cream: a collection of 20 inspired and indulgent flavors with 12% butterfat, made using only premium ingredients and slow churned the old-fashioned way, one batch at a time. 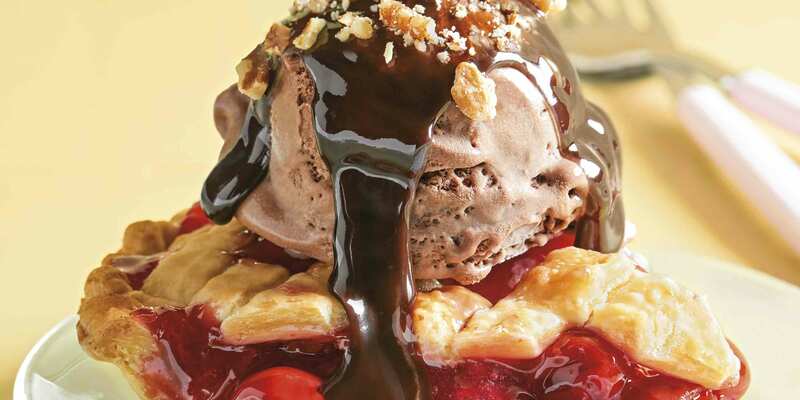 Double up on dessert with Culinaria ice cream and our fresh-baked pie! 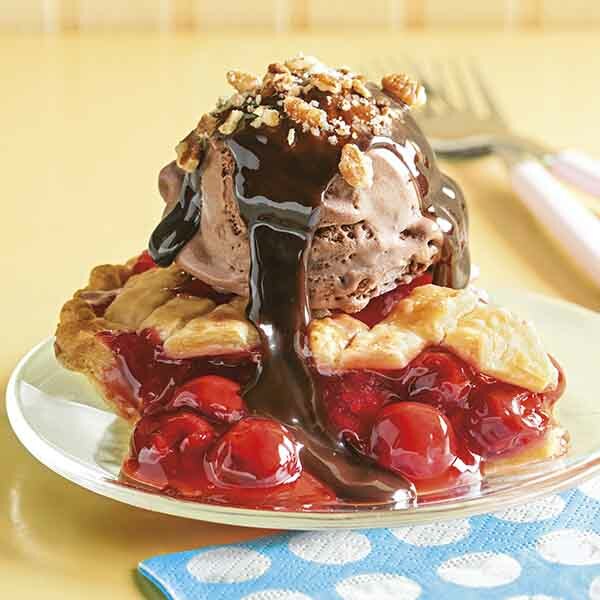 Combine Schnucks Culinaria Double Fudge Brownie ice cream, Schnucks cherry pie, chocolate sauce and chopped pecans for a sweet treat. This Culinaria Duo makes the perfect treat for two. 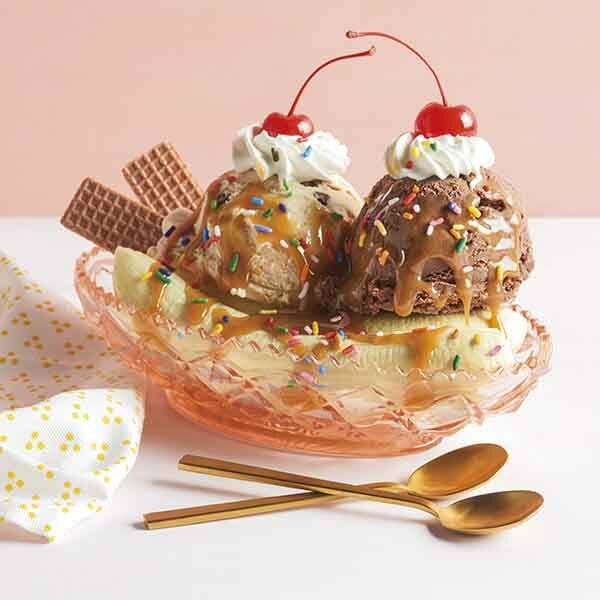 Pair Schnucks Culinaria Salted Caramel + Truffles ice cream, Schnucks Culinaria Chocolate Almond ice cream, fresh bananas, caramel sauce, chocolate wafers, whipped cream, rainbow sprinkles and maraschino cherries to make the perfect treat for two. Try something sweet and savory! 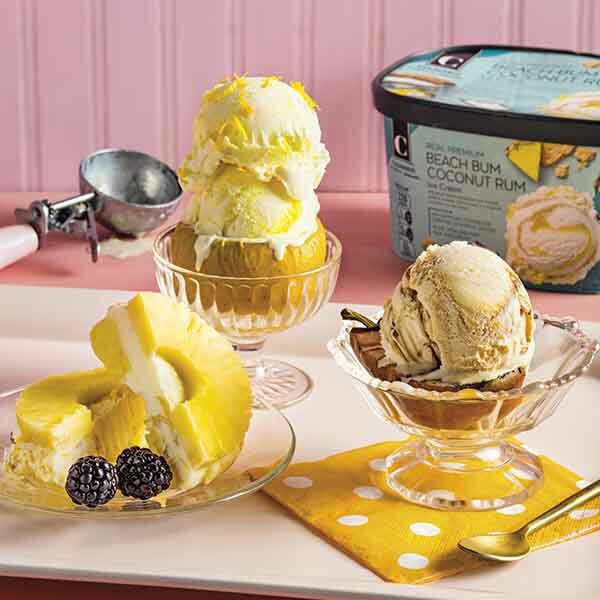 Try Schnucks Culinaria Lemon Tart ice cream with cored, baked apples or pair Schnucks Culinaria Praline Pecan with cored, grilled pears to try something sweet and savory. Create a fruity sweet treat or surprise your coffee-loving valentine. 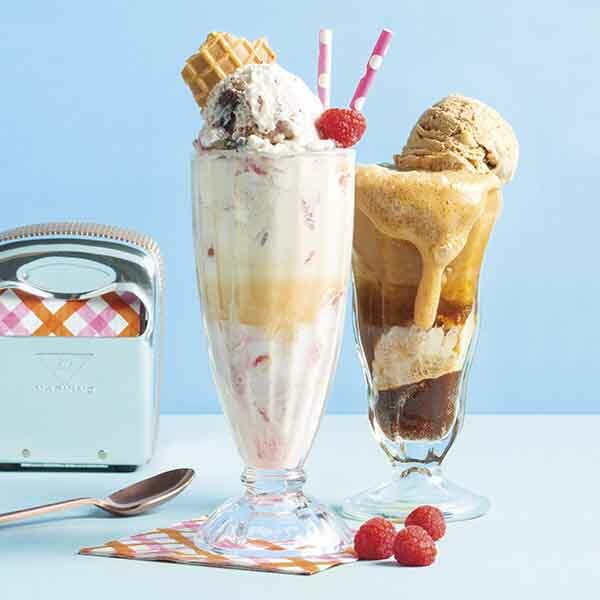 Mix Schnucks Culinaria Raspberry Cone Crunch ice cream and cream soda to create a fruity sweet treat, or combine Schnucks Culinaria Coffee + Donuts ice cream with iced coffee to surprise your coffee-loving valentine.